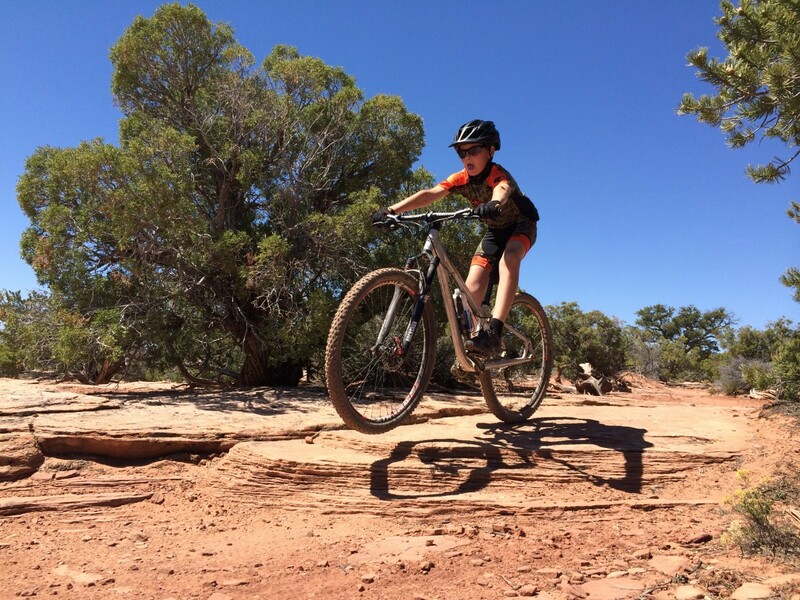 Trailcraft recently enjoyed a great trip to Moab! 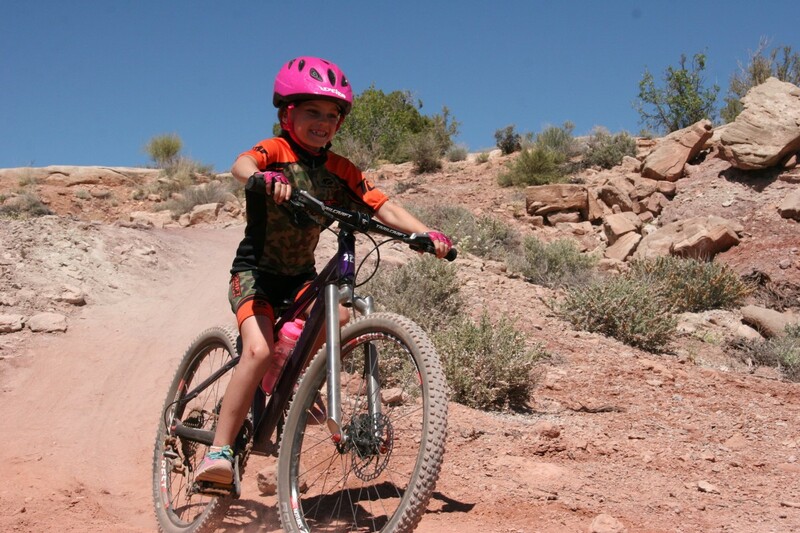 It was a lot of fun to see the kids riding and how much they've grown both in height as well as riding development since our last trip to Moab 6 months ago. Evalina (now 8) flew on the Pineridge 24 she got for her Birthday last month. Her Grape bike is set up as a 1x10 with rigid ti fork and the hills were no problem with its 19 pound weight. We are going to be getting more Ti forks middle of May for those that might want to modify their bikes or purchase a Pineridge with this option. 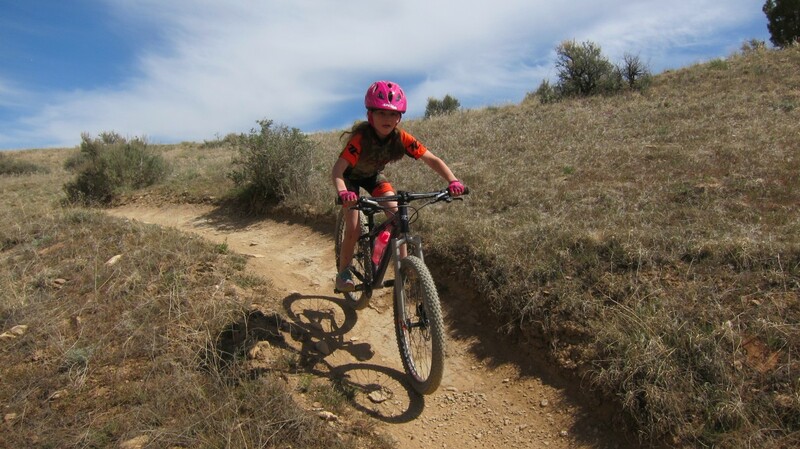 Some advantages of the ti rigid fork aside its weight savings (2 pounds or more over a suspension fork) are it compels riders to use their upper body even more to manuveur around obstacles on the trail which in turn challenges them to pick the best lines at an early age. This is a skill which will last their lifetime! 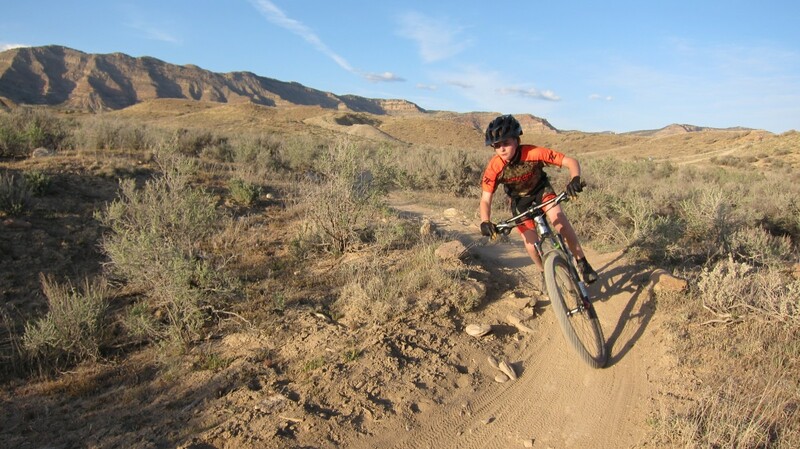 Elijah had a lot of fun on the trails testing out our new XS 26" prototype currently in development. As usual he was full speed ahead and pushing the limits on the trail. 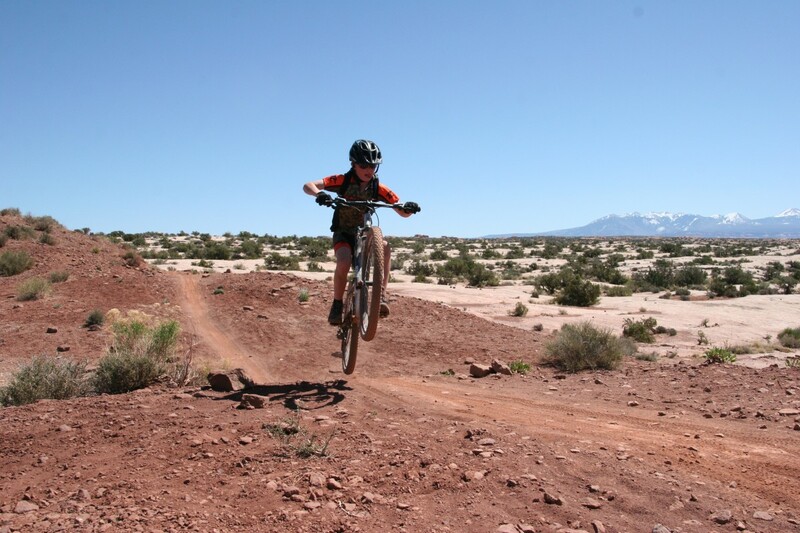 The bike did great and Elijah noted it is very quick-playful-responsive in its handling on the trails. Moab has lots of ledgy terrain, and the short chain stays allowed for quick manuals to turns in the desert which is a lot of fun! Stay tuned for more info on the 26" in future blog entries.